For PreK this past week we had a Homes theme. Along with that, we talked about the first four days of Creation, when God created our earthly home. We use Cross Connections for Early Learners for our Bible lessons. One of our activities involved using the families counters. I used a clip art house from one of my favorite clip artists, Zip a Dee Doo Dah Designs, to create houses for this activity. I just printed the houses on the appropriate colored paper and laminated for durability. Another sorting activity involving some fun clip art was also in my room. This one involved sorting furniture and fixtures into the correct rooms in a house. You can find this clip art from Dave’s Simple Teaching. For our sensory bin we worked with the idea of each of the first three days of creation. For the first day I put in black and white beans to represent day and night. I later added cotton balls and blue streamers for day two of creation. I also added toy trees and plants for day three. In the next week we will add to this bin with things from the remaining days of creation. Since our pets theme is coming soon, we switched to animal care in our dramatic play area. I used several items from Pocket of Preschool’s Vet Dramatic Play set to create this area. For this week we were only focusing on grooming and feeding of our pets, with x-rays and vet visits coming in the future. The labels are really a must for dramatic play. It really helps the students clean up when it is time and keeps things from getting chaotic. The kids did have a little problem with the purple sponge matching a red sponge label. Maybe I will look for a red sponge for next year. I matched the color pom pom for food to the main color of the animal for easy sorting at clean up time. Last year the students never thought to actually open the fish food container since when you pop it open it does not look open. This year they have figured it out and have opened it and stuffed and re-stuffed the pom poms in the container. For some reason I only have photos of the letter T pattern block page, although I also had out the letter F one as well. We had T the week before and letter F this past week, so I put both out for the students to work on, along with a train and fish pattern block. The letters come from Confessions of a Homeschooler. As with all printables that need to be an exact size, watch your settings when printing. You usually want to print actual size to make it work with your blocks. For our letter F we also did our letter book in small groups. This week we used the gray scale book with just the word. We will work our way up to using the ones with the entire sentence. I want to also make a set of the color books for our library, especially for during our review weeks. We have a rhyme every week on our pocket chart. This past week’s was Little Miss Muffet. I found the cards to match the poem at Sparklebox. We read the poem during the week with a pointer. If the poem has a song, we usually sing it as well. Soon, we will start looking for our letter of the week in the poem as well. There are many other activities that we worked on during the week in PreK, as those of you who work in a preschool know how full a week can be. Next up will be our Pets week. What themes are you working on this month? After our three day introduction to PreK week, we jump right in to our About Me theme, along with some emphasis on the letter T. We also spend time working on recognizing the letters in our own names and the order. Although I have a letter of the week, we always do work with other letters during the week as well. My students are familiar with the use of dot markers, but are not familiar with having to dot particular spots on a sheet or leaving some blank. I introduced my Alphabet Letter and Sound Search activity with students who chose to check it out. Since it was the first time doing an activity like this, I printed out the color clip art for letter T to place next to the sheet so students could just search for those to dot after finding the capital and lowercase T. These sheets, along with all of my alphabet activities, are found in the Alphabet Bundle as part of the letter books. For some fine motor work, I got out my large push pin and cork boards. I used a smiley face from This Reading Mama’s About Me theme as well as the letter T page from this alphabet push pin set. I was very pleased with the endurance of my students with this center since I know that it can make preschool hands tired to work on these. I did make the smiley face half page sized to reduce the amount of poking needed. Also in the This Reading Mama set were some cutting practice strips that I put out for scissor practice. I had students put the cut pieces into a separate bin so that we can use these later for making patterns or glue practice. My students really enjoyed using the large legos last week in the block center, so I pulled out enough legos for them to make the first letter of their names as well as the letter T. I found the lego letter cards at Wildflower Ramblings. For this center some students made letters, but some just built with the legos. As the year goes on I will encourage students to do the suggested activity first before creating on their own. Our sensory bin was filled with alphabet pasta, some green rice, and some foam alphabet letters. I used this pasta alphabet clip art to create each student’s name so they could find the letters of their names in the bin. I also made a sheet with the alphabet in order so they could search for alphabet letters. My writing center this week was focused on recognizing if a letter was in a student’s name or not. 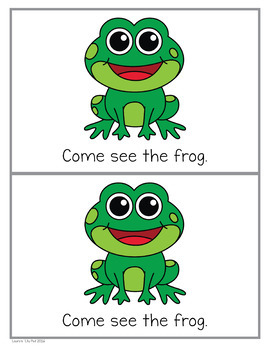 I found a printable from Little Literacy Learners that we used with our letter stamps. I was pleased that just about every student chose to work on this center this week and were fairly successful in finding the sheet with their own name before starting stamping. These are just a few of the activities we worked on this week in PreK. We also made our Chicka Chicka Boom Boom, Look Who’s In Our Room class book as well as creating self portrait dolls to remind us that we are fearfully and wonderfully made to go along with our Bible lesson. Recently I have been playing around with editable pdfs because I know how much my students love reading books with their names in them. I just put the finishing touches on my first book, which is a fall themed eight page book that students can read and color. In order to make a set of books for each member of your class, you only need to type all of their names one time into the class list and the pdf does the rest for you. When I print my books I trim the tops, bottoms, and right sides. I leave the edge on the left for a good stapling area. The file is set up to make it easy to stack, trim, and staple. Books are all ready to color as well as to draw what your students think of when they see fall. Interested in a set of your own books? Please click on the graphic below to head to my Teachers Pay Teachers shop, Laura’s Lily Pad.